Building Muscle Just Got a Whole Lot Simpler | Valet. When it comes to fitness, you've got to put in the work to see the results. But compelling new research has proven that when it comes to building muscle, the size of your dumbbell (or even the number of repetitions) doesn't really matter. What makes a difference is the degree to which you exhaust yourself during your workout. It's not about the weight that you lift, but instead it's about how much effort you're putting in." Robert Morton, a weightlifting coach and graduate student in kinesiology at McMaster University, who co-wrote the study (PDF) with his team, worked with nearly 50 men that were divided into two groups. 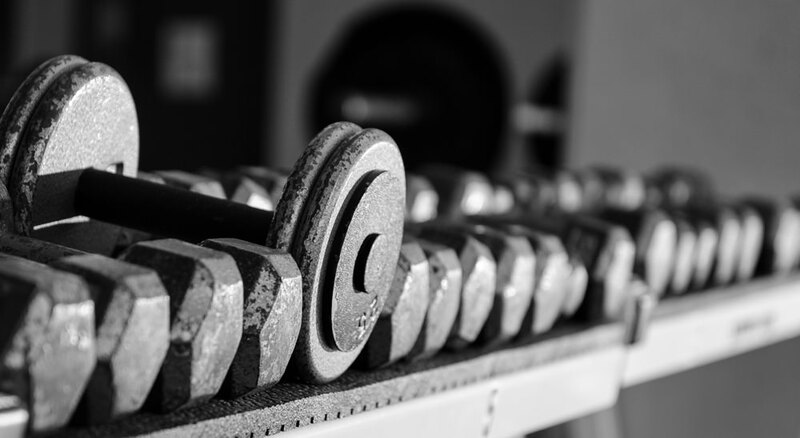 One lifted lighter weights for 20 to 30 repetitions, and the other used heavier weights for eight to 12 repetitions. The men pushed themselves to lift the weights until they couldn't complete another repetition, and then were given a minute break between sets. At the end of three months, researchers discovered that the muscles of both developed to a similar extent. They also looked deeper, testing the participants blood and found that before and after workouts, all of the men had similar amounts of testosterone and growth hormones. Which is good news because lifting lighter weights is not only easier, it allows you to maximize a muscle's full potential—working both its fast-twitch and slow-twitch fibers. Not to mention that lighter loads will put less stress on your joints, tendons and ligaments while also decreasing your risk of injury. So leave those bulky weights to the grunting dudes in the cut-off T-shirts. Grab some lighter weights and wear yourself out with a few more sets. As Morton put it, "If you exercise until you're completely wiped, you're going to be in good shape." BJ Gaddour, a Men's Health fitness advisor, offers up an effective five-exercise circuit you can do with a 10-pound dumbbell guaranteed to up your strength and tone your muscles. BJ Gaddour, a Men's Health fitness advisor, offers up an effective circuit of five exercises you can do with a 10-pound dumbbell guaranteed to up your strength and tone your muscles.